Mr. Mohd Saleem and Mr. Yosif Abdel Jalel are the two lucky winners of a brand new Volkswagen Jetta from City Centre Ajman. City Centre Ajman kicked off the New Year with a month‐long contest that entered customers whospent AED 100 in any of the mall’s stores into a grand prize draw to win a car. In addition, customerswho purchased gift cards worth AED 200 were given scratch & win cards to win instant prizes. The contest had an online component as well. The ‘My Centre’ competition on Facebook encouragedfans to upload their photos of Ajman. The top ten photos will receive mall gift cards worth AED 300each. 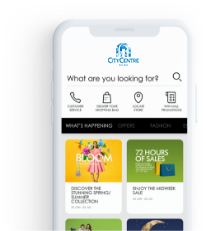 The campaign is just one way that City Centre Ajman is focusing on community outreach and providingvalue‐added discounts and benefits to shoppers.